FRANKLIN, TN–Speaking to a standing-room-only crowd, Senator Ted Cruz (R-TX) announced that he has raised more than one million dollars in the first 100 hours after last Thursday’s GOP Presidential candidate debate on Fox News. The debate, marked by a notable dust-up between front runner Donald Trump and Fox News moderator Megyn Kelly, drew record ratings–over 24 million watched. 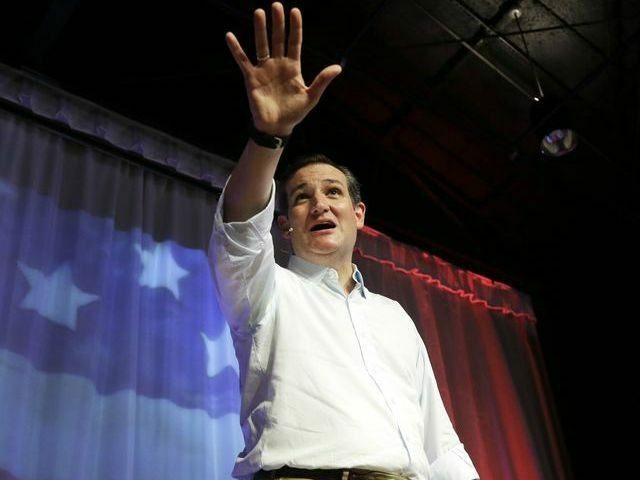 “I’ll announce something here for the first time,” Cruz told the cheering audience. “In the one hundred hours that followed the debate, our campaign raised over one million dollars,” he added to even louder cheers. In a statement issued by the campaign shortly after that announcement in Franklin, the Cruz campaign noted that the $1,092,157 raised “in the 100 hours since the first debate” came from over 10,000 contributions. “Online contributions averaged $54.77. Our webpage had 295,911 page views. Our posts on Facebook generated 20,457,661 impressions. Our tweets generated 12,332,304 impressions,” the statement said. “Cruz has been engaged in a bus tour across the so-called ‘SEC primary’ states [since the debate],” the statement continued. “From South Carolina to Georgia to Alabama to Tennessee (and on to Mississippi and Arkansas and Oklahoma), every event has been standing room only – with hundreds or thousands coming out to support the campaign,” the statement concluded.